New Zealand needs to bring agriculture into the Emissions Trading Scheme (ETS) and drastically increase the price of carbon emissions, according to the Productivity Commission. For New Zealand to move to a “low-emissions” economy by 2050, the Commission says a key change needed is to progressively increase the price of emissions from around $21 to between $75 and $152 per tonne of carbon. For New Zealand to go further and reach “net-zero emissions”, it says the price of carbon needs to rise to between $200 and $250 per tonne. That’s up to a 12-fold increase in 32 years. It says up until now prices have been “so low as to make the scheme ineffectual in changing firm and household behaviour”. The Commission says caps on the supply of New Zealand Units (NZUs) are needed to push prices up. It goes on to explain: “Expectations about future emissions prices are important for driving investment in new technologies. To ensure clear and credible investment signals, the Government should introduce mechanisms that provide guidance about the path of future emissions prices. “Key steps include setting rolling five-year forward caps for the NZ ETS, to provide certainty about the supply of NZUs. “A second important step will be auctioning NZUs to achieve the cap, but with mechanisms to discourage prices from moving outside of a wide band. The Commission says agriculture, which makes up 48% of the country’s gross emissions, needs to be phased in to the ETS, with the sector supported by the free allocation of NZUs during the transition. It expects bringing agriculture into the scheme will be the main driver behind land-use change; something it deems vital. 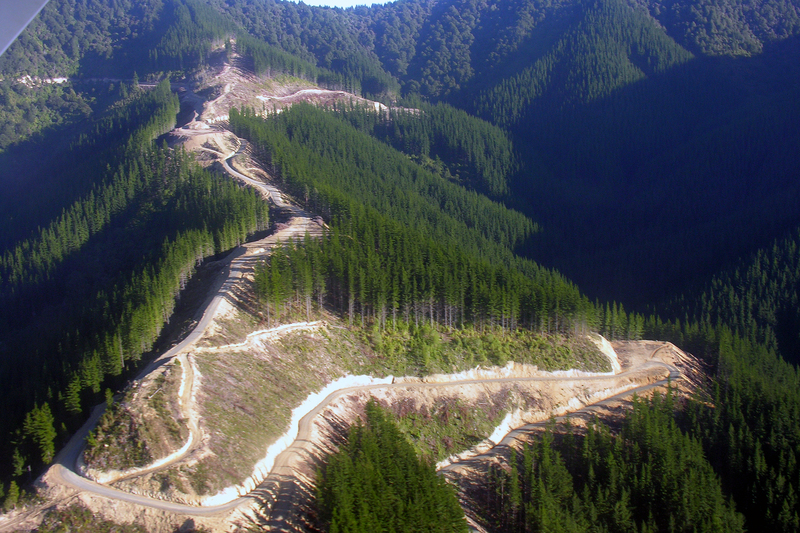 The Commission notes forestry currently offsets just under a third or New Zealand’s gross emissions. Yet with planting rates dropping sharply since the 1990s, “the amount and pace of new planting required is beyond what New Zealand has experienced over the past 30 years”. Its models indicate “land planted in forests will need to increase by between 1.3 million and 2.8 million hectares, mostly converted from marginally profitable beef and sheep farms. “Growth in horticulture (from a relatively small base) will likely also play a significant role in reducing agricultural emissions. The Commission notes the administration of the ETS needs to be simplified to make it cheaper and easier for forest owners to take part. Among the Commission’s 140 findings and 50 recommendations, it also addresses ways to transform New Zealand’s vehicle fleet. Making up 18% of the country’s gross emissions, transport is the second highest source of emissions. Population and economic growth have also seen transport become the fastest growing source of emissions. To increase the affordability and accessibility of electric vehicles (EVs), the Commission suggests introducing a “feebate” scheme, “through which importers would either pay a fee or receive a rebate, depending on the emissions intensity or fuel efficiency of the imported vehicle”. It recommends the Government provides support for EV infrastructure projects to fill the gaps in the charging network that are commercially unviable for the private sector. Nonetheless, the Commission recognises that even with the rapid uptake of EVs and low-emissions cars, “fossil-fuel vehicles” are likely to make up a significant share of New Zealand’s private vehicle fleet for some time. “To help reduce emissions from these sources, the Commission recommends that imports of new and used fossil-fuel vehicles be required to meet rigorous emissions standards. “New Zealand is one of a handful of developed countries without vehicle emissions standards, and risks becoming a dumping ground of high-emitting vehicles from other countries that are decarbonising their fleets. “The Commission is also seeking feedback on whether further steps are needed, such as phasing out all fossil-fuel vehicle imports by a specified date. “For heavy vehicles, aviation and shipping, electrification is more challenging. Hydrogen vehicle technology is developing and could provide a useful alternative to EVs. “Biofuels also have the potential to deliver significant emissions reductions for these modes. Yet, commercial, technology, and coordination barriers pose challenges to the large-scale production of biofuels. The Commission highlights the need for “broad and enduring political support” for the changes needed to transition to a low-carbon economy. It recognises New Zealand has “lacked clear and stable climate-change policies,” which has “weakened incentives for change and undermined confidence in existing policies”. “If firms and households are to invest in low-emissions technologies, they need confidence that their returns will not unnecessarily be put at risk. Stability and confidence about longer-term objectives and policy settings are critical to promoting the transition to low emissions. The Commission is seeking public feedback on its draft report. A final report will be presented to the Government in the second half of the year. As posted previously and more than once - the simple facts are that because NZ measures agricultural emissions on a gross basis - not net of the massive CO2 uptake from our grass and croplands - our actual measured agricultural emissions are roughly half the published figures. Growth levels are therefore similarly overstated. Now we plan to borrow offshore - as we are running a current account deficit - to purchase credits to offset emissions that simply do not exist. With an uncapped liability as to both price and volume given no one knows emission levels or carbon prices in the future - this falls into one of the worst policy initiatives since Muldoon tore up Kirk's then Kiwisaver scheme. Given current farm elasticity to emissions is zero - any inclusion in the ETS for agriculture is simply a tax on our largest exporters. Not smart given the state of our external accounts. As the worlds most efficient meat and dairy producer - to reduce global emissions we should be expanding NZ's agricultural production for any given level of global food production at the expense of less efficient producers. Think EU and UK with their grossly distorting CAP policy. You can grizzle and whine as much as you want....but you won't alter the fact that NZ is in the carbon scheme and will get more committed not less. Carbon emissions will barely go down as long as tax payers subsidises via the cap. Get smart ..buy carbon as the cap must come off. You mean position yourself to take advantage of the rort? Sigh. NZ is fairly honest, other countries a lot less so. This is just one huge rort machine. The rort was the Key govt allowing Russian mafia credits into the schemen. Thats has been stopped. The rort is now tax payers subsidsiing emitters. I want to see carbon come down, a price mechanism is how it will work. If my buying of credits pushes up the cost of carbon, I feel good about that. What do you think might work? International agreements are pretty dodgy and unreliable. As I say, we tend to by and large go along with what we have agreed to, most countries do whatever they can get away with. However, if we had a system which disincentivises inefficiency and wastage then that sounds like a good idea. Bringing on electric vehicles and putting a stop to killing ourselves with fumes would be a brilliant outcome. What about the effect of the increased population? No mention of that in the article. Does it increase emissions or reduce them. I mean converting padocks to houses, car parks and roads is presumably a big negative. Why is this not mentioned? Is there, dare I say it, bias in the analysis or in the reporting? The report is 503 pages...maybe it is in there? Or maybe reporting that raises awerness. Why don't you read it and submit your own summary to Interest. Co? You might learn something at the same time? Any writer who can't compress 503 pages worth of document into 3 is blatantly incompetent and biased. Exactly Nymad. And if one was to stop and read every document created from all these working groups and put a submission in they would not have enough hours in the day! Please detail your economic interest in carrying the water for large polluters. Are you an energy sector lobbyist, own a refinery? Nope, didn't think so. Just another ill informed wanna-be. Sorry - but most people are smart enough to know we must cut emissions to save us all. Maybe someday you'll realise it too. @JB well said .......... I will go one further and say I am with Donald Trump on this issue . The Paris accord is a load of hogwash , and he was right to call it . This is just an over-complicated and unfair form of taxation . No one wants to see the planet destroyed , but the environmental clowns have taken over the circus and are making things way too complicated and have gone too far . They’ll destroy the planet but it want be from Carbon emissions. Using documents for pecuniary advantage is still a criminal offence. I am sorry but these people are idiots playing a political system with a political tune. Carbon prices and the ETS will never work to limit or stop the emissions of carbon, but will effectively cut out the lower socioeconomic groups out of the economy. Putting a price on carbon will just result in people adapting. A clear demonstration of this is the price of fuel. Since the 80s and 90s it has effectively doubled, the theory behind the ETS means that the use of cars should have halved, when the price of fuel went up that much, but has it? Of course not. The people in the lower strata of society struggle to pay for fuel, but everyone else has just adapted. Business's and corporations find a way to profit from it though. The only solution is for the Government regulate caps on carbon emissions, be it transport, farming or industry. this will force the development of technology and processes to compensate, or a shift away from damaging industry. "Putting a price on carbon will just result in people adapting" - sorry, but what exactly do you think putting a price on carbon is meant to result in? The productivity commission recommends these things? I guess it's only a report. Shame we don't own our forestry plantations. Also, posted at 1am? Jenée are you on the other side of the world? The Commission fails to mention strategies to control population; to eliminate emissions by adding 3 million people or more by 2050 does seem a trifle hard. We can stop being a dumping ground for the over populated third world. NZ is probabaly the only country taking nonsense very seriously and willing to cut a leg and an arm to help sovle nothing. It is worse than that, we are making plans to make NZ a shining beacon to the world. This will attract more tourism and cause net more global warming emissions. We are cutting a keg and an arm off to kill the planet even faster. Of course the poor in NZ will bear the brunt of these policies - but policy designers and politicians aren't poor so who cares anyway. Any negative economic effect on the rich burdens the poor aye Roger? This is how the rich get the poor to do their bidding. For New Zealand to go further and reach “localised-zero emissions”, it says the price of carbon needs to rise to between $200 and $250 a tonne. Achieving a localised zero emissions under the rules of the Paris Climate Change Accords is simple enough - offshore most industry and import tourists (air travel exclusion) and import consumer goods (maritime fuel exclusion). Increasing local carbon costs is an very good way of achieving this. The result of the NZ economy reaching localised-zero emissions is likely to be a 30% increase in net emissions. If the government were serious about climate change they would place a tax on jet fuel. This would cut tourism obviously and immigration by making NZ less attractive immigrants who like to commute regularly back to their old country. However they won't do this, because our average Green is very fond of international jet travel tourism. So instead of a serious attempt to tackle climate change, we'll get environmentally destructive virtue signalling. You know how taxes work, right? Or is your understanding as poor as your understanding of urban economics? Firstly, you can't tax on the basis of not having a right to - you can't tax a jet for burning fuel outside of your jurisdiction. Secondly - thus, the burden of a levy on Jet A1 won't fall on those using international travel. I really don't know which level of understanding is worse. Actually if the jet fills up on NZ soil I suspect we can indeed tax that. If not, then there are the landing and takeoff fees, 100% taxable. Well, you can...But, you'll just end up giving a big rebate. Once that plane gets 12 miles out, it is no longer under the NZ jurisdiction. Thus, no NZ levied taxes should apply. Done unilaterally - no way to make it work. If all airports charged the same levy on Jet A1, it would work. That's very different to a straight fuel tax. The CAA analysis is about an alternative charging system for its fees and that international freight etc might not pay anything if they fill up offshore I assume). A NZ Carbon tax though is about fuel burnt on or above NZ soil. Therefore agriculture, sky diving etc gets a carbon tax as its a negative impact. Lets just look at grapes for a second. Vineyards are being put in in areas of frost which is utterly stupid. In order to avoid frost damage a vineyard will employ helicopters to sit there and blow the air about, that frankly is insane waste of fossil fuel and shows how far into stupid some ppl will go if allowed to. Hence undertakings like this wasteful example should be taxed. International impact? well those planes wont be emitting carbon that adds to NZ's total so then they not paying NZ carbon tax doesnt seem a biggee. Of course they have to fill up somewhere and I assume eventually they will get caught. Story updated. These two lines quoting the Productivity Commission have been removed from the story due to an error in the Commission's report. Yet it highlights a headwind: “The Government is currently considering extending the Overseas Investment Act to cover the acquisition of forestry cutting rights by foreign investors, with the intention of increasing the amount of wood processing that takes place in New Zealand. Is is disingenuous to quote GROSS emissions from agriculture. What other games is this commission playing?
" -Adaptive multi-paddock grazing can sequester large amounts of soil C.
-Emissions from the grazing system were offset completely by soil C sequestration. Across-farm Soil Organic Carbon data showed a 4-year C sequestration rate of 3.59 Mg C ha−1 yr−1 in AMP grazed pastures. After including SOC in the GHG footprint estimates, finishing emissions from the AMP system were reduced from 9.62 to −6.65 kg CO2-e kg carcass weight (CW)−1." Fulfilling the Paris Agreement is utter virtue signalling BS. Aren't there some children in poverty out there to worry about? Rather than NZ spending Billions on a minuscule share of n estimated 0.17 degree change in temperatures in 2100? "All climate policies by the US, China, the EU and the rest of the world, implemented from the early 2000s to 2030 and sustained through the century will likely reduce global temperature rise about 0.17°C in 2100. These impact estimates are robust to different calibrations of climate sensitivity, carbon cycling and different climate scenarios." Of course I bet you really are concerned about children in poverty, yes 100% sure, not. Yes the present agreements are in-adequate, and that will become apparent over the next few years. However we do see signs that some countries, cites and states intend to beat their "legal" commitments considerably. What is also interesting is the economics, the move to wind, solar and renewables generally is creating lots of jobs, sustaining ways off life from rental income off wind turbines which is boosting rural communities and are now cheaper than coal to put in new. On top of that the myth of grid instability seems non-existent, so a win, win, win for everyone expect those invested in old, fossil technology or nymbies or right wing extremists like yourself. Try not to choke on your morning coffeeas you watch the world move on. Im sure I'll care about that outcome as much as you really care about kids in poverty. Great a transfer of wealth from the working poor to landed gentry and wind farm investors for no benefit to the country whatsoever. Nice. How is the salary of a solar panel washer compared to a roughneck these days? One only have to look at South Australia to see what a horror show rolls out when green take over energy policy. Here are some economics for you to mull over. "Between 2009 and 2017, the price of solar panels per watt declined by 75 percent while the price of wind turbines per watt declined by 50 percent. over 100 percent in Denmark since 1995 when it began deploying renewables (mostly wind) in earnest. What gives? If solar panels and wind turbines became so much cheaper, why did the price of electricity rise instead of decline? One hypothesis might be that while electricity from solar and wind became cheaper, other energy sources like coal, nuclear, and natural gas became more expensive, eliminating any savings, and raising the overall price of electricity. But, again, that’s not what happened. The price of natural gas declined by 72 percent in the U.S. between 2009 and 2016 due to the fracking revolution. In Europe, natural gas prices dropped by a little less than half over the same period. The price of nuclear and coal in those place during the same period was mostly flat." farmers are hardly "landed gentry", indeed income is making possible they stay on their family farms and not have to sell to corporates. In terms of transfer, when the price of wind is less than the price of coal there is no transfer. In terms of flat costs, nuclear is highly questionable if nothing else as the true cost of waste disposal is usually met by the Government. Same probably applies to coal, if the externalises are ignored ie polluting for free then yes costs look artificially low. THen there are the other Govn subsidies or tax breaks that are enjoyed. Electricity price rises, well lets look at what happened in NZ as an example. We privatised and basically allowed companies to increase charges based on the increase in value of their assets. So then the price increases are arguably resulting from monopolistic practices / lack of real competition. On top of that the sector uses a simple model of pricing on demand. So then there is no real incentive to add more plant as that would reduce profits, indeed it actually makes sense to have less plant as its more income per kwh for no capital outlay. So much for neo-liberalism, utter failure. How much of the German solar is grid scale and how much is private rooftop installations? The price of electricity (per unit) going up may not mean much if you are generating your own instead of buying off the grid. buy less units at higher price per unit might still be saving $$. Lombok is well known as a GW denier.here's a website you might want to look at. In it you will find that Shell Oil knew all about GW by the late 80s and its potential effects on our world(our only world).They and all the other oil companies have done their utmost-just like the tobacco companies--to hide what they knew. CAN ANYONE EXPLAIN TO ME HOW this increased carbon price will miraculously reduce the carbon we produce ? ..its about reducing and absorbing. If the rain forests are not cut down and new ones are planted, then carbon will be absorbed. As meat goes up in price we will eat less of it, plant based lower carbon susbtitutes. And on it goes. Its really not that hard to 'get'. Denialism is a person's choice to deny reality, as a way to avoid a psychologically uncomfortable truth. Denialism is an essentially irrational action that withholds the validation of a historical experience or event, when a person refuses to accept an empirically verifiable reality. Thought you had at least a basic level of economic literacy, Boatman. If the price of something increases, the result is usually that consumption of that something reduces, as people change their behaviour to use less of it. What exactly is inexplicable about that? Nothing - but with free markets and unrestricted imports - users will simply purchase lower cost imports produced less efficiently resulting in net higher emissions globally. While we are big dairy exporter - we are a small dairy producer on a world scale. I've got this printer next to my keyboard. Anybody who wants a carbon credit can just sent me cash and I will print up a certificate. 50% off. I love saving the planet. There is no indication that forestry will be profitable in the future, it's also a business model threatened by disease. Governments shouldn't think they can pick winners at random . Who do they think we are competing with, a couple of blind monkeys? The increase in Brazil's farm production has been stunning. Between 1996 and 2006 the total value of the country's crops rose from 23 billion reais ($23 billion) to 108 billion reais, or 365% and they continue to grow. Brazil increased its beef exports tenfold in a decade, overtaking Australia as the world's largest exporter. It has the world's largest cattle herd after India's. It is also the world's largest exporter of soybeans, poultry, sugar cane and ethanol. Moreover, Brazil supplies a quarter of the world's soybean trade on just 6% of the country's arable land. No less astonishingly, is the fact Brazil has more spare farm land that all the spare land in both Russia and the U.S.. This is land in the right areas with the right rainfall that can be placed into production. This dominance has allowed Brazil to be labeled the world’s breadbasket and has turned Brazilian meat companies into the largest in the world. JBS and Marfrig, the purchaser of a majority interest in National Beef, are the number one and number two beef processors in the world. " This "spare farm land' you refer to wouldn't currently be covered with one or two trees possibly? Just minor impediments to the land that can be removed to make the land productive? Read AMAZON FOREST! the worlds largest carbon sink! ..and exaclt why we need a global carbon scheme. So the financial rewards of maintiaining the earths lungs are better than cutitng them down. Well Rastus make sure your Green Party can afford legal challenge. And parliamentarians must abide by the 1688 Bill of Rights. Enough is enough of this nonsense. The unreasonable need a lesson. That land has already been cut. They are talking about existing farmland not utilised. I can see their point of view, we cut down all our forests but the world needs theirs. I don't support cutting down the Amazon, but they are massive producers and many huge farming conglomerates. Like Russia with its two hundred farms with over 100,000 hectares of wheat, consumers have choices, price is one of them. “There are a lot of very switched-on Brazilian farmers who aren’t afraid to get stuck in to get stuff done,” said former Nuffield Australia foundation chairman and Quirindi farmer, David Brownhill. He was only recently back from an eye-opening trip to Brazil when asked to host the Agrileader group for half a day. “Their big farms are really big - 350,000ha is not uncommon - and there’s still 100m hectares of agricultural land which can be opened up for cropping alone,” he said. Hello, is there anyone still,out there that this this Mish mash government is going to be the success that you have been hoping for? Absolute BS, are other countries doing the same thing, yeah NA! The emissions we produce are minute compared to overseas! TAX TAX TAX TAX TAX. Per capita we are fifth on the list. And just because we import just about everything we buy does not mean we are not responsible for what emissions are caused in their manufacture. So the Productivity Commission is using pseudo science to write a report which is therefore misleading the Minister and parliament. Every member of the productivity commission is exhaling 40,000 parts per million of CO2 into the atmosphere in every breath. I think it is time to crowd fund to fight this BS in the courts. “From February 2016 to February 2018 global average temperatures dropped 0.56°C. You have to go back to 1982-84 for the next biggest two-year drop, 0.47°C. All the data in this essay come from GISTEMP Team, 2018: GISS Surface Temperature Analysis (GISTEMP). NASA Goddard Institute for Space Studies (dataset accessed 2018-04-11 at https://data.giss.nasa.gov/gistemp/). Since the end of the Little Ice Age in the 1880s, the planet has warmed by about 0.8 degrees C.
Yeah, now go look at the graph and see it's a 0.56* fall off teh back of a single year 0.81* spike. And two years = weather, not climate. Same BS cherry picking and conflating weather with climate as usual from the deniers. Yes, I think we should head to the courts. Someone should face down every extractor of finite resources, every non-mitigator of pollutive activities and every parasite thereupon, on behalf of future generations. It would be an interesting exercise. Yes quite interesting PDK. "Reporter Phelim McAleer reports that Alsup also mocked the numerous times IPCC predictive models got the current climate trends wrong, the judge saying to Chevron’s lawyer: “So your point is that [IPCC] models overstate the problem. Instead of doom and gloom, it’s just gloom”. Chevron endorsed the IPCC orthodoxy but enjoyed citing the many caveats in the body of the 2013 report that were glossed over in the Summary for Policymakers. One example: climate models run hot compared with actual temperatures. This has forced the warmist plaintiffs into “denying” the IPCC itself." The CMIP5 models might be running a little hot. We don't know for sure because we are not (knowingly) running this global experiment on multiple worlds at the same time. The last three years warmth have been right in the middle of the ensemble envelope.